I have been taking painting classes from an awesome studio in Asheboro called The Preppy Possum (feel free to check this place out on Facebook at: The Preppy Possum). 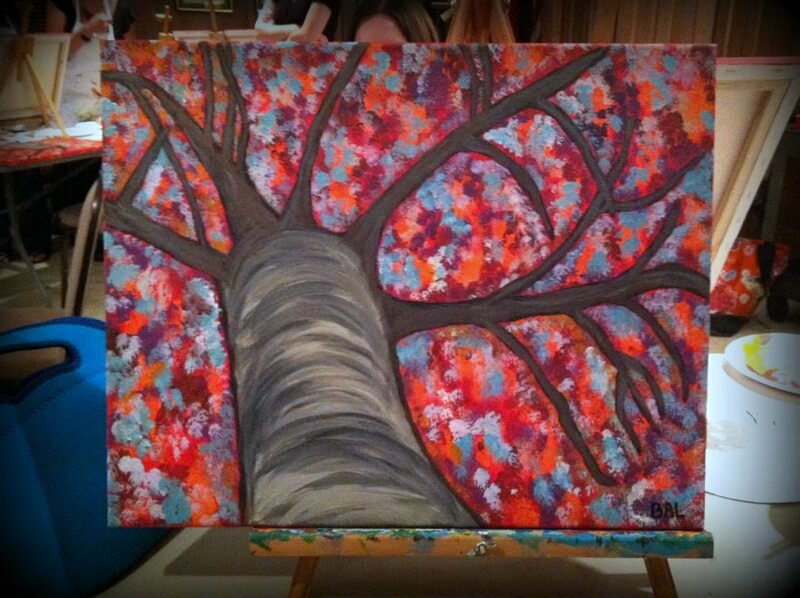 The talented owner/instructor, Nikki Cherry, makes painting an easy and fun thing to do. 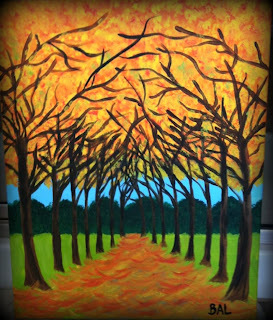 My classes have been full of women that claim to have no creative skills (I am creative but can't paint worth a toot), and yet everyone has left the classes with a completed 16x20 masterpiece to call their own. 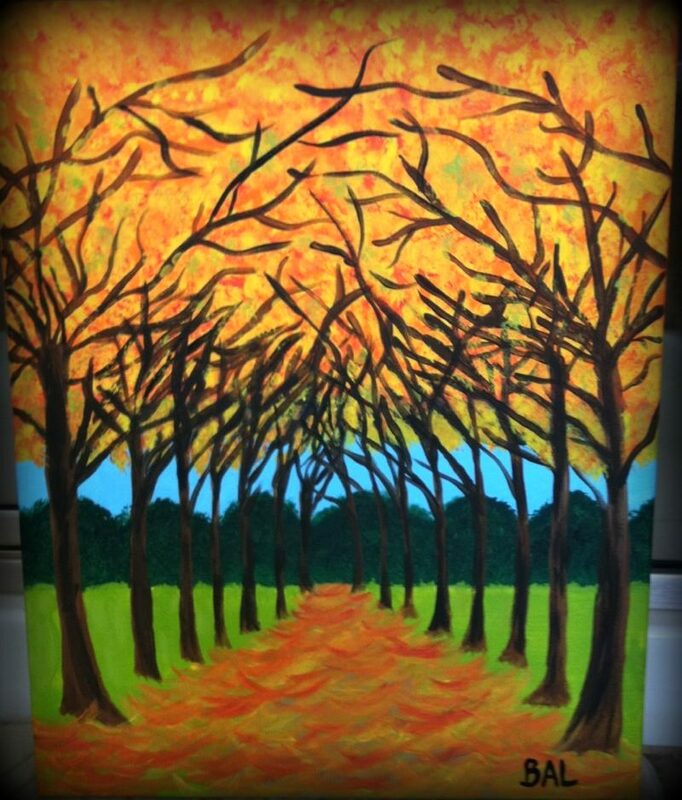 Her events are called "Wine Downs" as you are encouraged to bring wine or beer to sip while you create your work of art. I am now officially hooked and plan to paint as many canvases as I can get my hands on! The top painting is from my first class back in September and the bottom painting is from the class that I took last night. It's taken me forever to choose our tile for the kitchen. I finally ordered these tiles yesterday. The photo does them no justice at all. 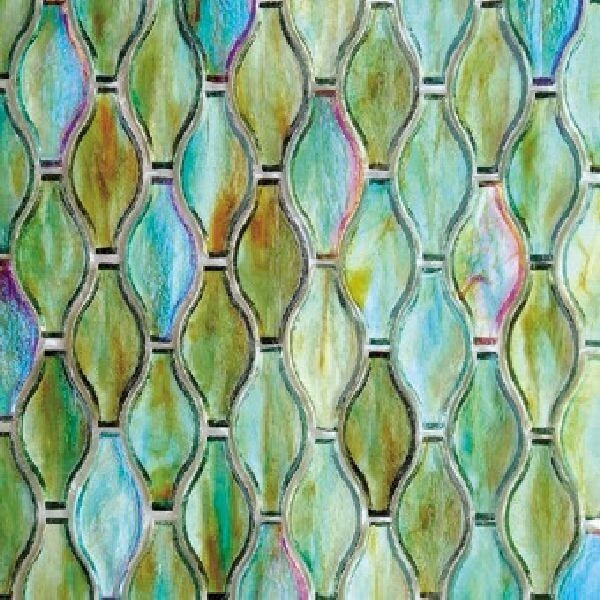 They are glass with variations of blues, aquas, greens, and browns throughout them. They have a iridescent sheen on them so they are colorful and sparkly. I love them! BTW, the manufacturer is Hirsch and the line is Silhouette. They come in all kinds of cool colors. I received my first KitchenAid mixer at 17 when I graduated high school. My aunt Judy bought it for me. It was white and I loved it. After 17 years of use, making cake icing has started to wear down the motor so I decided to replace it with this gorgeous girl. 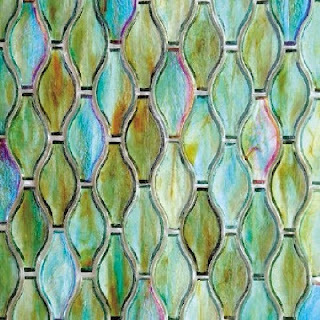 The color is aqua sky and it is going to match the backsplash that I have picked out for the kitchen.